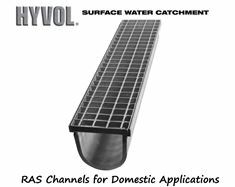 HYVOL® RAF and RASF Channel & Grate SETS are ideal for car and light vehicle domestic use. These are great for surface water catchment. These surface water drains are ideal for home driveways and garages. 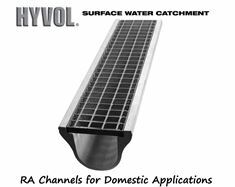 Hyvol surface water catchment channels have security steel grates with appropriate grate loading for car and light vehicle traffic.